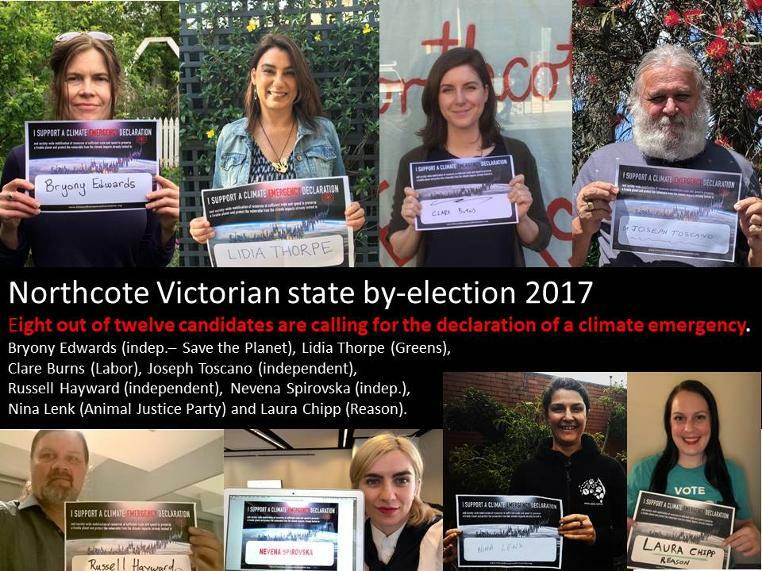 The Northcote by-election on Saturday 18 November will be a close contest between Greens candidate Lidia Thorpe and Labor candidate Clare Burns. Ten other candidates are standing. 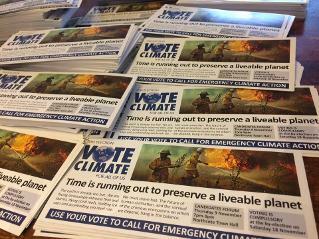 Candidates have been sent questionnaires that will form the basis for a Vote Climate scorecard. Results available soon. 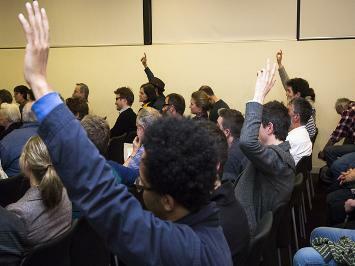 All candidates are invited to a Candidates' Q&A Forum hosted by 12 community groups. 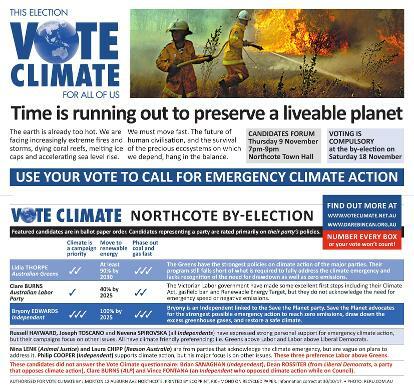 The forum is on Thursday 9 November from 7.00pm till 9.00 pm at Northcote Town Hall.